China's Fosun International will reportedly acquire French apparel brand IRO. The world's leading cosmetics group L'Oreal launched a new shampoo brand in the Chinese market called Ultra Doux, which is now available in Wal-Mart stores across the country. French leather product brand Perrin Paris opened its first store in Hong Kong. 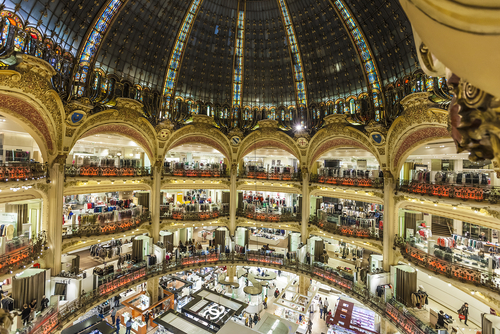 French luxury department store Galeries Lafayette has appointed Paul Burke as new chief executive officer for the China market. The French fashion brand Chloe opened a new flagship store in Citic Square, Shanghai. Japanese apparel retailer Uniqlo announced plans to open its largest flagship store worldwide in Shanghai by the end of 2013. Hong Kong's Central Business District ranks second to London's West End as the world's most expensive office market. The first Apple Store in Shanghai will be opened on July 10, 2010. The international cosmetics retailer Sephora will open a store in Hong Kong on September 26, 2008, marking its formal entry into the SAR.